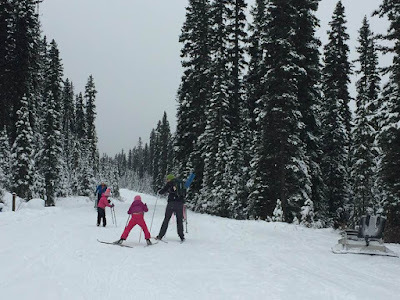 A few weeks ago Greg bought himself some cross country skis and boots and went skiing at Maple Ridge Golf Course a few times when we still had some snow and the girls were quite upset that they didn't get any skis for themselves. 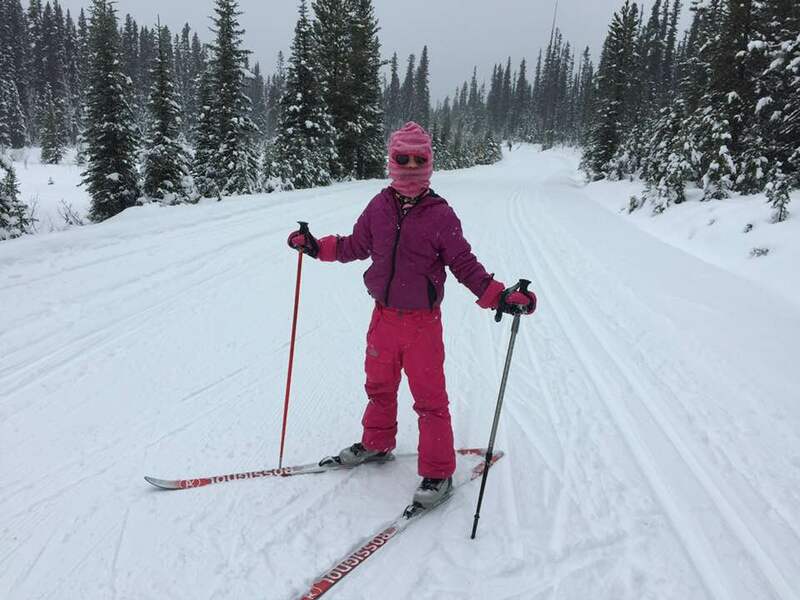 So Greg started skewering kijiji and soon enough we found some skis and boots for both girls all for a combine $205. Last it was just me without skis and Greg tried to find some locally or on kijiji but none was to be found or if we did they were way far north and sold pending pickup. We did find a pair online at Sportchek but more on that later. The girls were anxious to use their skis but unfortunately we still have no snow in Calgary or in Bragg Creek. 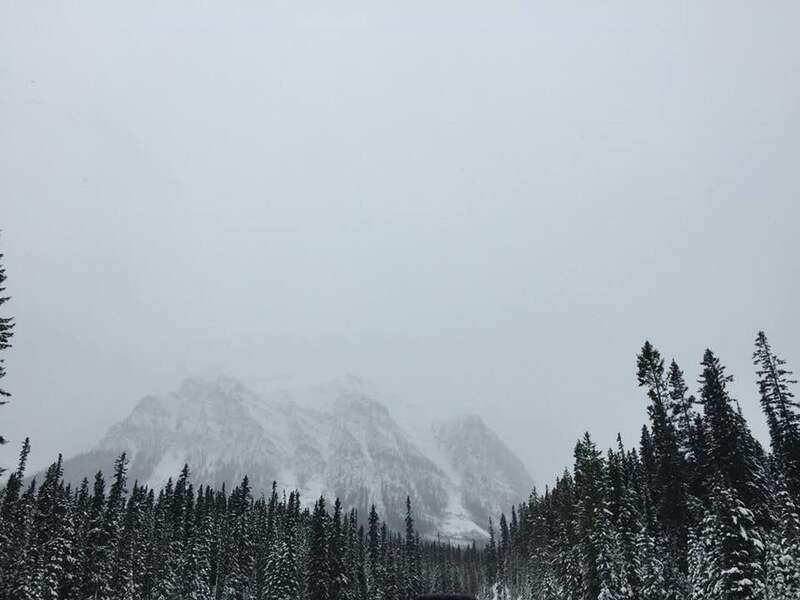 Banff also has none but somehow, Lake Louise has a lot of snow. 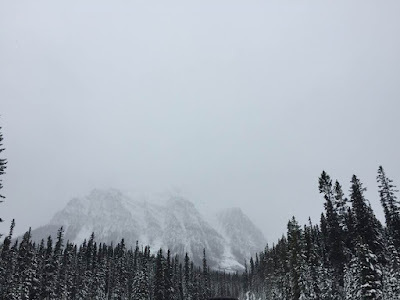 It is kinda funny driving down the highway because Banff is like Calgary and then about 15km out of it, we suddenly hit winter. The trees and everything looked so pretty but I am glad it is there and not here. I don't like snow and as far as I am concerned, the snow is right where it is supposed to be - in the mountains! 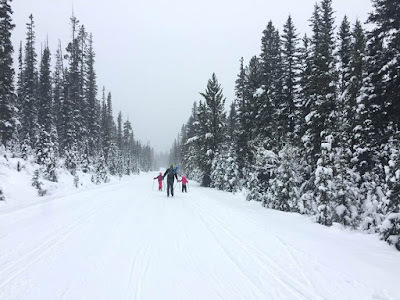 Greg had done some research online and decided that we would do the Great Divide Trail that was the turnoff right by the hotel and actual lake. If you have been to Lake Louise in the winter and have driven by where all the dog sleds are and remember their location, that is where the trail begins. The girls were a little nervous but were excited to give it a try. When Greg was trying to get the girls going, Finley did the splits and Penelope was doing ok. 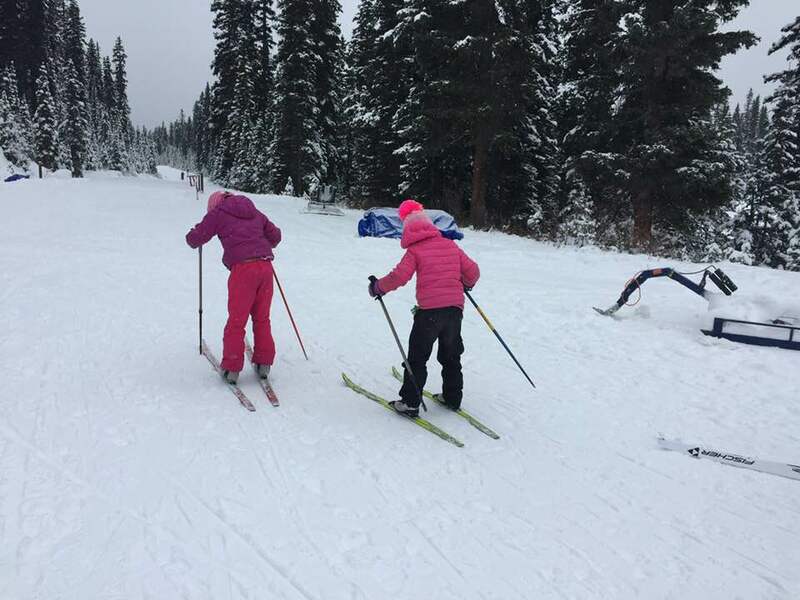 I assumed this would be the case because Penelope is just more naturally athletic then basically all of us haha but Finley was the far more superiors xc skier. 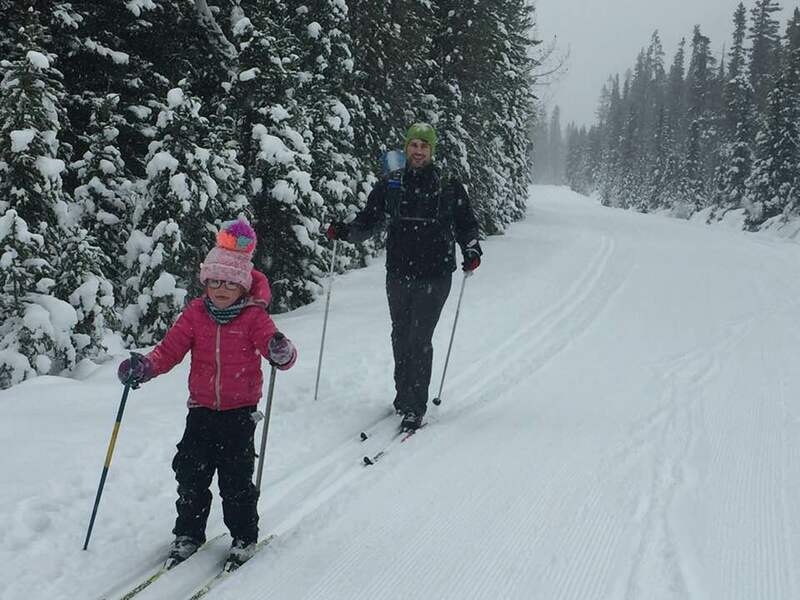 Finley really liked xc skiing even if she fell so many times. The reason she fell so many times was because she wouldn't pay attention to her skis and then they would get tangled up in front of her and then she would fall. 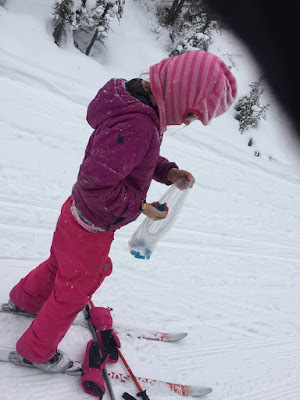 One time she fell in front of a season skier who taught her how to get back easily and after that she was able to get back up in no time. Whenever we go hiking or skiing or biking we go to the bulk section of Superstore and get to pick out a treat. Finley's favourite is blue whales but she hasn't had any in more then 6 months because of her braces but she got those off the previous Monday and was so excited to eat these. I bet it was then highlight of her day haha. 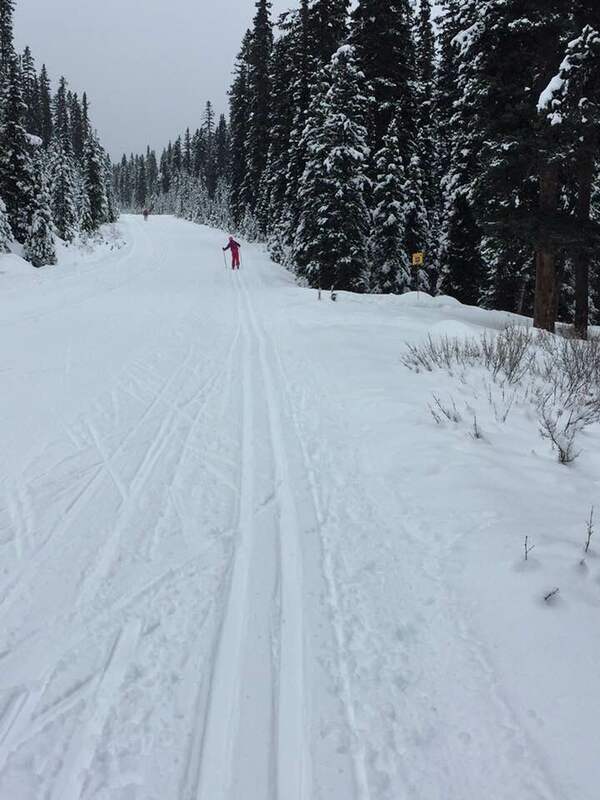 Most of the time, Finley and I were way ahead of Greg and Penelope. Every once in awhile I could hear Penelope but not see her. Finally I made Finley stop and wait for me so that we could let Greg and Penelope catch up with us. I wasn't sure if we were going to go all the way to the lake and Great Divide hotel or not. For reasons I don't quite understand, Penelope kept crouching down like this. I think she really wants to be a downhill skier haha. In fact I know she does because when we finished she told us so haha. Penelope also had fallen a lot and shockingly more then Finley did. Her problem was that she got going too fast and then lost all form and control and fell. She liked skiing in the grooves while Finley and I didn't really like that. We preferred skiing in the middle. Round trip from the parking lot to the lake and back is just under 10km. We finished at about 6.04km out and back. Greg and the girls stopped at one point with the backpacking stove and had hot tang but I just kept skiing back to the car because my boots were starting to rub on my ankles a lot and it hurt a tremendous amount. I couldn't wait to get back to the car and get the boots off. 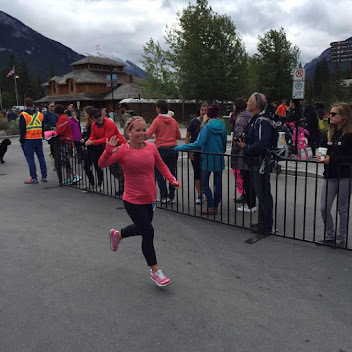 About 30 minutes later, they showed up and we headed to Starbucks in Banff before going back home. We definitely overdressed for the occasion but it felt so cold when we got there. I would definitely dress differently next time. Less layers haha. 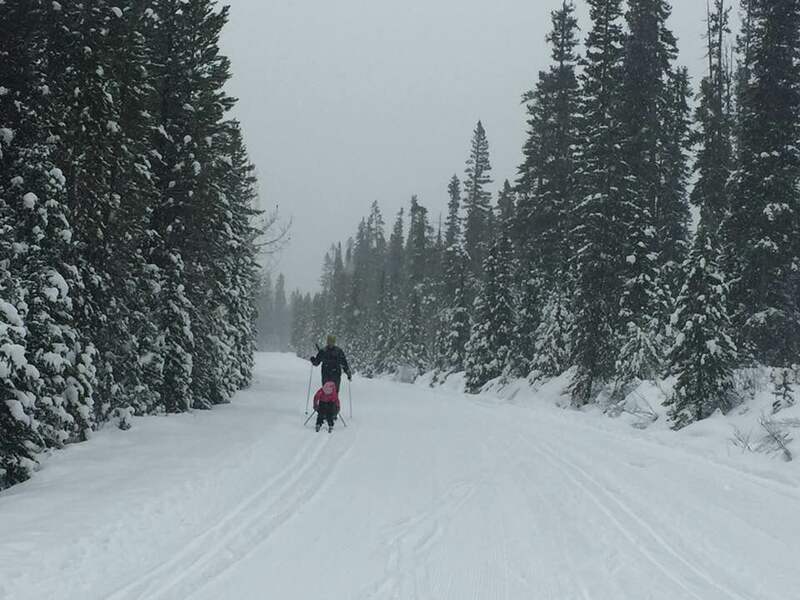 If you ever get the opportunity to go xc skiing, give it a go!